For the first time, a social media app has joined the permanent collection at a major museum. London's Victoria and Albert Museum announced this week that it has acquired a version of WeChat, the most widely used social media app in China, with 963 million users. Visitors can now view the app on a mobile phone in Gallery 76 of the museum, where it is joined by digital stickers and sketches. The version of the app on display was made especially for the museum and allows the software to be run without accessing the server, thus ensuring visitors and researchers will be able to engage with the app now and in the future. The acquisition also includes a full set of Bubble Pup GIFs used in the app as well as design sketches of Bubble Pup intended to provide examples of the digital design process. 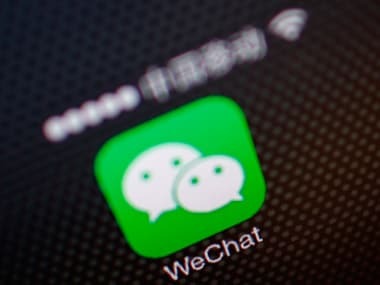 WeChat is notable for its approach of providing "apps without apps" and for its 2011 launch of voice messaging, which was quickly adopted in China and was only later added to other messaging apps. The app joins the V&A's Design, Architecture and Digital (DAD) collections, which aim to represent the most influential and relevant design objects of our time. "It is a fantastically important addition to our collection of digital design, reflecting the ever-changing way we communicate and consume information," said Tim Reeve, Deputy Director of the V&A, who connected the acquisition to the museum's work in Shenzhen, where it is opening a gallery at the major new design hub Design Society before year-end. While it may be a first for social media, WeChat is not the first app to join a museum collection. Most notably, in 2014 Icelandic singer Bjork's Biophilia app, the first album app ever made, was added to the permanent collection at New York's Museum of Modern Art.